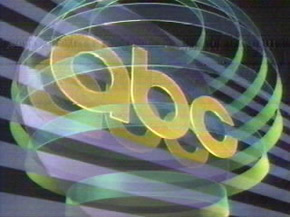 During the week of January 24, 2011, ABC finished No. 2 in Adults 18-34 (1.4/4-tie) and across all key Women demos: W18-34 (1.8/6), W18-49 (2.3/6) and W25-54 (2.8/7). Among Adults 18-49, ABC aired 5 of the week’s Top 20 TV shows, with “The Bachelor” (No. 12), “Extreme Makeover: Home Edition” (No. 13) “Modern Family – R” (No. 15), “Castle” (No. 19) and “Wipeout” (No. 19). ABC’s “The Bachelor” drew its biggest audience this season and “Home Edition” hit a season-high with Adults 18-49. ABC’s Wednesday and Thursday repeats held up very well. “The Middle” and “Modern Family” each put up their strongest-ever repeat numbers, despite going head to head with “American Idol” on the night. “Grey’s” drew its 2nd-highest repeat numbers this season and “Private Practice” posted season-best repeat results. · Growing its overall audience week to week, ABC generated its 2nd-most-watched week since the beginning of December – since w/o 12/6/10. With “The Bachelor” followed by “Castle,” ABC stood as the most-watched TV network (9.2 million) on Monday night. The Net beat its Monday rivals in Women 18-34 (3.4/9) for the 4th straight week. · ABC’s mid-season Monday lineup matched its strongest performance to date in both Total Viewers (9.2 million) and Adults 18-49 (2.7/7). In fact, surging week to week in viewers (+19%) and young adults (+17%), ABC equaled its highest-rated Monday in 9 weeks among Adults 18-49 – since 11/22/10. Growing its overall audience for the 2nd week in a row, ABC’s “The Bachelor” was the top draw in its 2-hour time period with Total Viewers (9.3 million). In addition, the ABC veteran unscripted series dominated its time slot and stood as Monday’s No. 1 program across all key Women demos (W18-34/W18-49/W25-54). In fact, “The Bachelor” registered as Monday’s No. 1 regular TV series in Women 18-34 for the 4th week running. Gaining young adult audience from its first hour to its second hour, “The Bachelor” finished No. 1 in the 9 o’clock hour with Adults 18-49 (2.9/8). During the 10 o’clock hour, ABC’s “Castle” ranked No. 1 versus its drama competition in Adults 18-49 (2.4/7) and Adults 18-34 (1.7/5), and ranked No. 1 overall across all key Women demos (W18-34/W18-49/W25-54). In fact in the key Adult 18-49 sales demo, ABC’s “Castle” beat out second-place NBC’s “Harry’s Law” (2.1/6) by 14%. · “Castle” jumped up over its most-recent original (1/10/11) by 14% in Adults 18-49, matching its top-rated telecast since mid-November – since 11/15/10. In addition, the ABC drama tied its highest Women 18-34 number in nearly 3 months – since 11/1/10. With a mix of 3 repeat and 2 original programs, up against Fox’s 2-hour “American Idol,” CBS’ all-original lineup and NBC’s mostly original lineup, ABC ranked No. 2 on Wednesday night in Adults 18-49 (2.1/6), tying CBS and beating out fourth-place NBC by 50% (1.4/4). ABC also took second on the evening with Men 18-49 and Women 18-34. · The Net grew by strong margins over the same Wednesday last year opposite “Idol” (1/27/10) in both Total Viewers (+20% – 6.0 million vs. 5.0 million) and Adults 18-49 (+24% – 2.1/6 vs. 1.7/5). At 8:00 p.m., ABC’s repeat “The Middle” defeated its original non-“Idol” competition in viewers and young adults. Among Adults 18-49, “The Middle” (2.0/6) replay topped NBC’s first-run “Minute to Win It” by 54% (1.3/4) and CBS’ first-run “Live to Dance” by 100% (1.0/3). · “The Middle” produced its most-watched-ever repeat telecast (6.9 million) on the night. At 8:30 p.m., a special repeat of “The Middle” also bested its non-“Idol” competition in viewers (6.6 million) and young adults (2.0/5), leading the second half hours of “Minute to Win It” (+33% – 1.5/4) and “Live to Dance” (+82% – 1.1/3) by huge margins in Adults 18-49. · Tying its 8:00 p.m. airing, the ABC sophomore comedy scored its Top 2 highest-rated-ever replay telecasts on the evening among Adults 18-49. At 9:00 p.m., ABC’s repeat “Modern Family” built on its lead-in against the third half-hour of Idol, generating the series’ strongest-ever repeat numbers with Total Viewers (7.3 million) and Adults 18-49 (2.6/7). At 9:30pm, against the final half-hour of Idol, ABC’s “Cougar Town” beat out NBC’s “Chase” by 16% in Total Viewers (5.0 million vs. 4.3 million) and by 67% in Adults 18-49 (2.0/5 vs. 1.2/3). ABC’s “Off the Map” took second place in the 10 o’clock hour among Adults 18-49 (1.8/5), while finishing No. 1 with Adults 18-34 and Women 18-34. · The new ABC drama gained 5% week to week with Women 18-34 (2.0/6 vs. 1.9/6). At 8:00 p.m., ABC’s “Wipeout” defeated its non-“Idol” competition in Adults 18-49 (2.4/7), beating out NBC’s original comedies (“Community”/”Perfect Couples” = 1.9/5) by 26% and CBS’ comedies (“The Big Bang Theory”/”$#*! My Dad Says” = 2.3/6) by 4% in the young adult demo. “Wipeout” also took second in the hour to “Idol” with Women 18-49, Men 18-49 and Teens 12-17. · Despite facing “Idol” in the time period this year, “Wipeout” registered its fourth consecutive week of year-to-year gains in the hour for ABC in Total Viewers (+25% — 7.6 million vs. 6.1 million) and Adults 18-49 (+33% — 2.4/7 vs. 1.8/5) over original drama programming on the year-ago night (“The Deep End” on 1/28/10). · Head to head against “Idol,” “Wipeout” was up over the previous week among key Men, gaining 6% in Men 18-34 (1.9/6 vs. 1.8/6) and 5% in Men 18-49 (2.3/7 vs. 2.2/6). · For the 2nd week in a row, ABC was the only net to build audience in the hour against “Idol,” as CBS, NBC and CW each lost viewers from 8:00-9:00 p.m. From its first half-hour to its second-half hour, “Wipeout” gained 3% in viewers (7.5 million to 7.7 million) and 9% in Adults 18-49 (2.3/6 to 2.5/7). In fact, during its second half-hour from 8:30-9:00 p.m., “Wipeout” ranked No. 2 to “Idol” in Adults 18-49, Adults 18-34, Women 18-49, Men 18-49 and Teens 12-17. At 9:00 p.m., ABC’s “Grey’s Anatomy” generated its 2nd-strongest repeat numbers of the season with Total Viewers (4.5 million) and Adults 18-49 (1.5/4), despite facing all-original competition on NBC and Fox. Up against original episodes of NBC’s “30 Rock” and “Outsourced” in the 10 o’clock hour, ABC’s “Private Practice” drew its best repeat numbers of the season in Total Viewers (3.3 million), Adults 18-49 (1.0/3-tie) and Women 18-49 (1.6/4). Improving its performance week to week for the 2nd week in a row, ABC’s “20/20” took second in the 10 o’clock hour among Adults 18-49 (1.6/5) and Adults 25-54 (2.2/6). The ABC newsmagazine ranked No. 1 in the hour among Adults 18-34 (1.2/4-tie) and Women 18-34 (1.6/5). “20/20” featured Chris Cuomo’s report on teens in trouble – chronicling the terrors and triumphs of four such teenagers, all surviving largely on their own. Up against Fox’s coverage of the NFL Pro Bowl on the evening, ABC ran as Sunday’s No. 1 non-sports network in Adults 18-49 (2.2/6), beating third-place CBS by 10% (2.0/5) and fourth-place NBC by 57% (1.4/4). · ABC’s numbers rose sharply week to week in Total Viewers (+2.3 million – 7.5 million vs. 5.2 million) and Adults 18-49 (+69% – 2.2/6 vs. 1.3/3), while it posted its highest Sunday numbers since November with Teens 12-17 and Kids 2-11 – since 11/21/10. During the 7 o’clock hour, ABC’s “America’s Funniest Home Videos” beat out its regular competition by wide margins in Adults 18-49 (2.1/6), topping CBS’ “60 Minutes” by 50% (1.4/4) and NBC’s “Dateline” by 62% (1.3/4). · In Total Viewers and Adults 18-49, “AFV” marked its 2nd-strongest performance this season. Building audience against the NFL game during each half-hour from 8:00-10:00 p.m. and hitting a season high, ABC’s 2-hour “Extreme Makeover: Home Edition” paced well ahead of its non-sports competition among young adults (2.7/7), beating CBS in the time period by 35% (2.0/5) and NBC by 108% (1.3/3). In fact, ABC’s “Home Edition” registered as Sunday’s No. 1 regular program in the key young adult sales demo. The ABC unscripted series ranked No. 1 in its time period over the NFL game across all key Women (W18-34/W18-49/W25-54). · ABC’s “Home Edition” posted its highest numbers this season among Adults 18-49 (tie) and Adults 18-34. Featuring Emma Roberts and Justin Bieber as guest volunteers, “Extreme Makeover: Home Edition” tallied its highest Teens 12-17 and Kids 2-11 numbers in 2 years – since 1/25/09 and 1/11/09, respectively. Source: The Nielsen Company (National, Live+ Same Day Program Ratings), week of 1/24/11, unless stated otherwise.